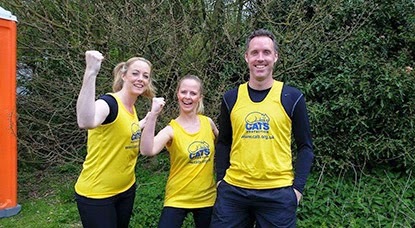 A trio of dedicated cat lovers recently took part in a muddy challenge to raise money for the Rayleigh Castle Point & District Branch of Cats Protection. 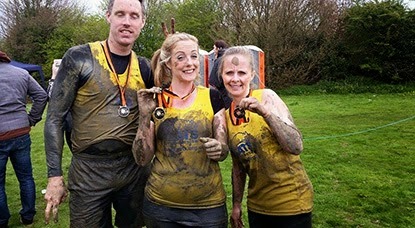 On 19 April, branch volunteers Karen, Mel and her brother Mark competed in the Xtreme Endurance Race Mud Run in Chelmsford, Essex. They ran, waded and climbed their way around 7km of obstacles through gallons of mud for two hours, all to raise funds to help cats in the branch’s care. The team raised over £500 for the branch – well done and thank you very much! It’s not too late to donate, you can sponsor Karen, Mel and Mark at https://www.justgiving.com/Rayleigh-Cats-Protection12 or text to donate on 70070, the code is RCAT62 £1, £2, £3, £4, £5 or £10.